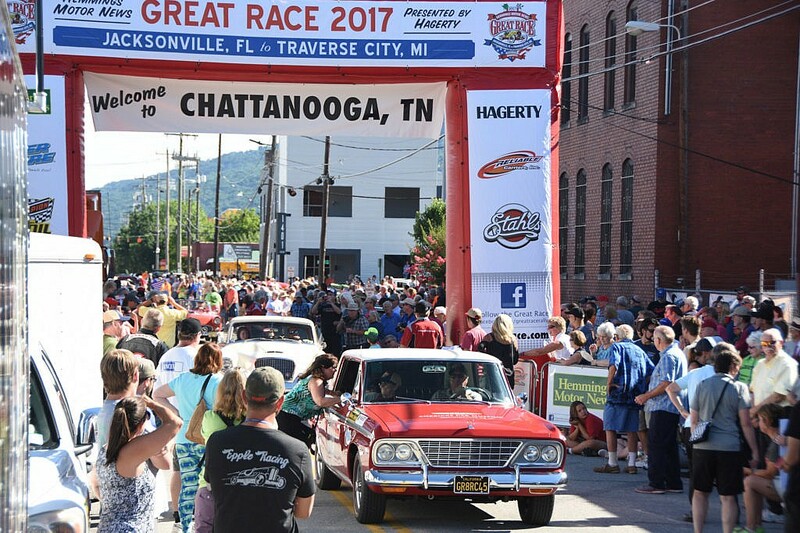 In case you missed it, the 34th installment of the Great Race kicked off this past Saturday (June 24), and this year’s starting point? Jacksonville, FL…the fourth time the city has seen the race in its 34 year tenure. 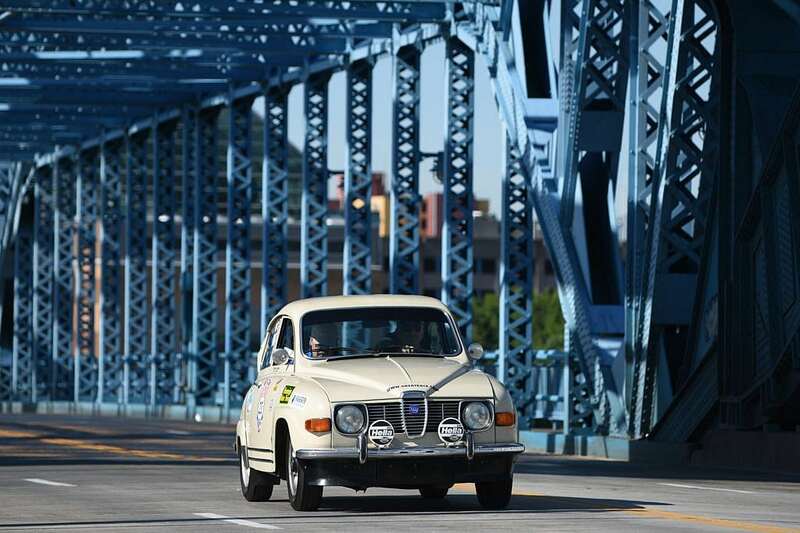 The Great Race is an antique, vintage, and collector car competitive controlled-speed endurance road rally on public highways. Founded in 1983 by Tom McRae and Norman Miller as a speed/distance rally for classic cars, with the first race being only pre-World War II automobiles…entrants “race” over 2000 miles from a farm near Los Angeles to Indianapolis, IN. Teams are allowed only a guide book, speedometer and clock as they navigate the course through cities, dirt roads, and some of the best scenic back roads in America. It’s not a test of top speed but rather a test of navigational skills, determination and a great bit of luck (for the team and the car) to endure on a cross-country trip. Competing teams must drive at or below the posted speed limits at all times. 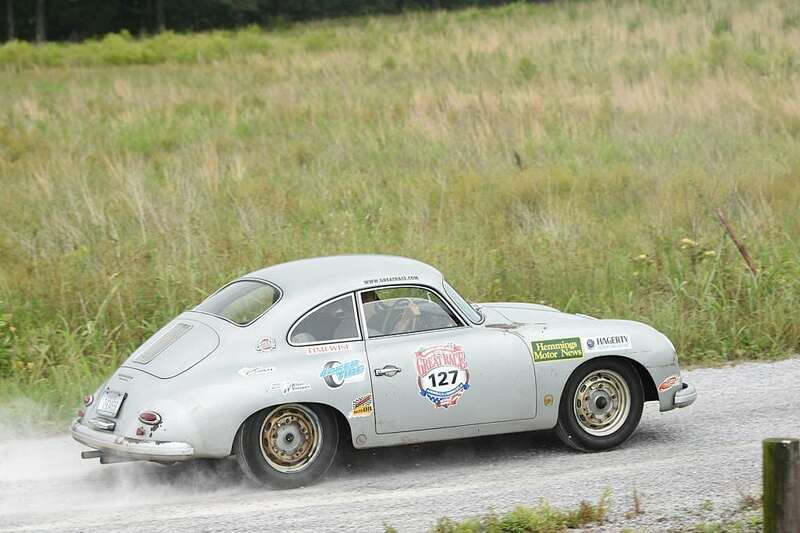 This year over 100 racers will compete for the purse, racing about 1200 miles from Jacksonville, FL to Traverse City, MI. McRae founded the race on “the basis of honoring families, the love of American backroads and most importantly, God, for making all things possible”. McRae is no longer with us, and in 2011 a new race leader stepped in, Corky Coker, of the famous Coker Tire Co. in Chattanooga, TN. Which leads us to why we are here…the route just took them directly through Second Daily HQ hometown of Chattanooga, TN. We wish you all the best of luck, and we really hope you stocked up on some Krystal Burgers, Coke, oil and antifreeze before leaving! Cars ranged in age from a 1973 Jensen Interceptor to a 1909 American Simplex. As much as we love the classics here, the Simplex is a bit of a stretch for us to highlight as a potential collectible daily. 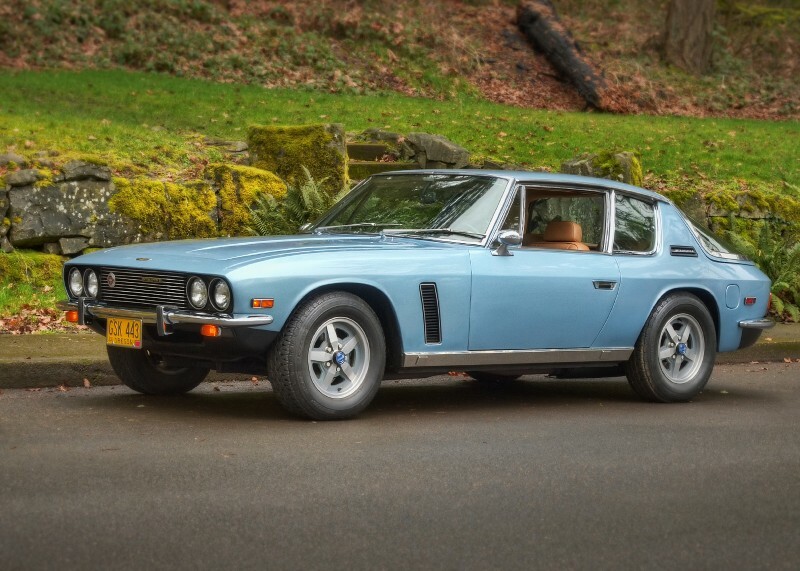 So today’s feature car will be the, yeah, you guessed it…the grand touring hand-built British Classic Jensen Interceptor (delayed…still working on getting good photos). As luck would have it, yesterday’s feature, the Volvo P1800, shares a love affair with the Jensen group as well…so if you haven’t read that piece check it out. And please visit the Great Race website to keep up with news/events and upcoming races (http://www.greatrace.com). 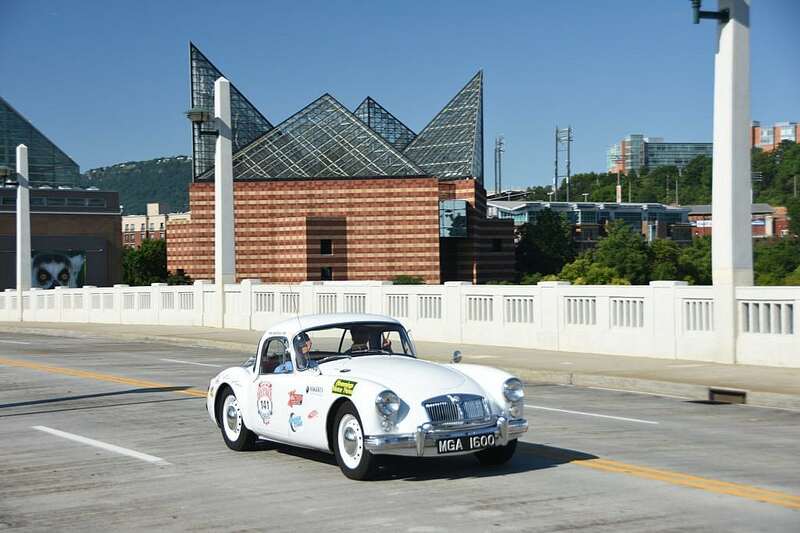 This entry was posted in British Classics, News/Events and tagged Chattanooga, Coker Tire, Great Race, Hemmings, Jensen, Krystal, porsche.